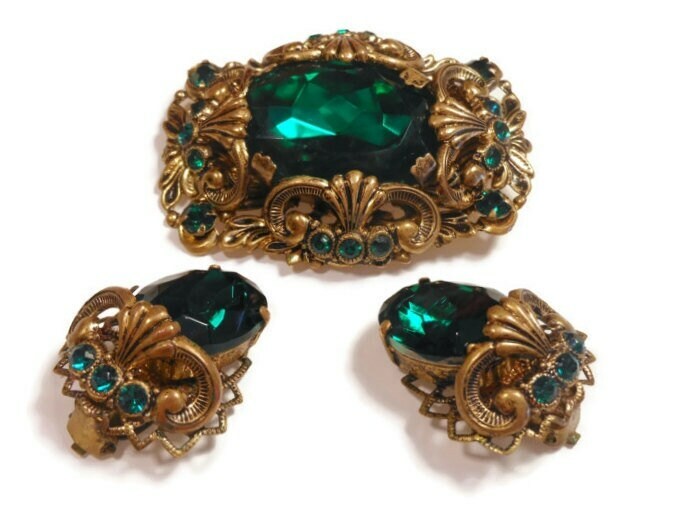 Green art glass brooch and earrings, 1950's West Germany signed emerald green art glass brooch and earrings. 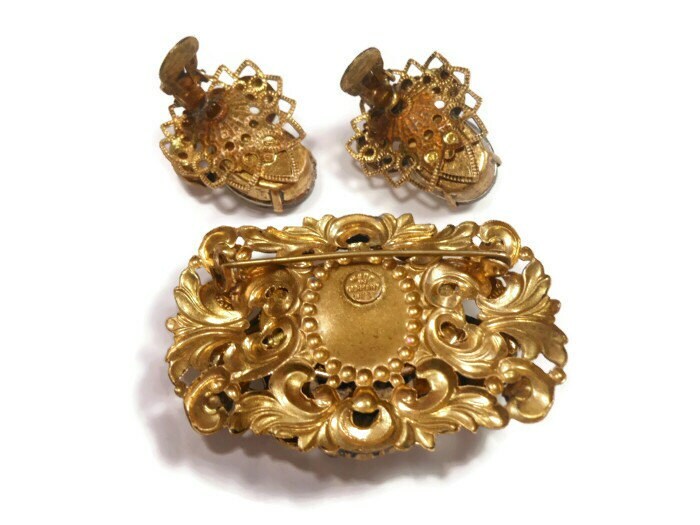 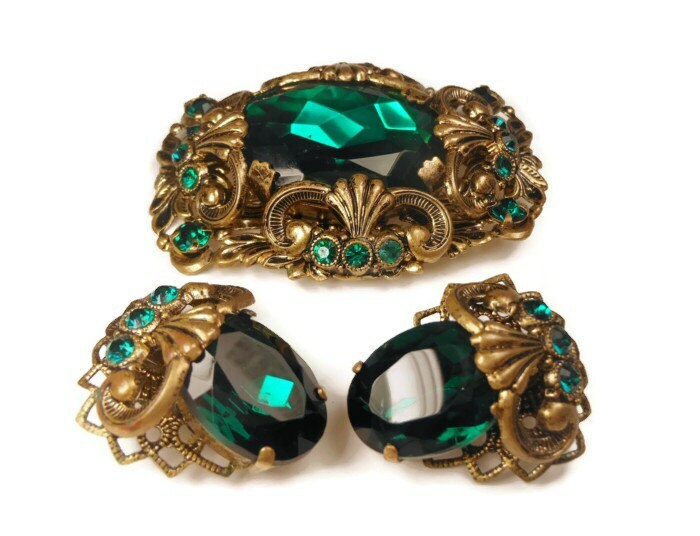 Emerald Green glass faceted prong set cabochons sit in the center of each piece and are embellished with rhinestones set in gold gilt brass metal intricate scroll work. 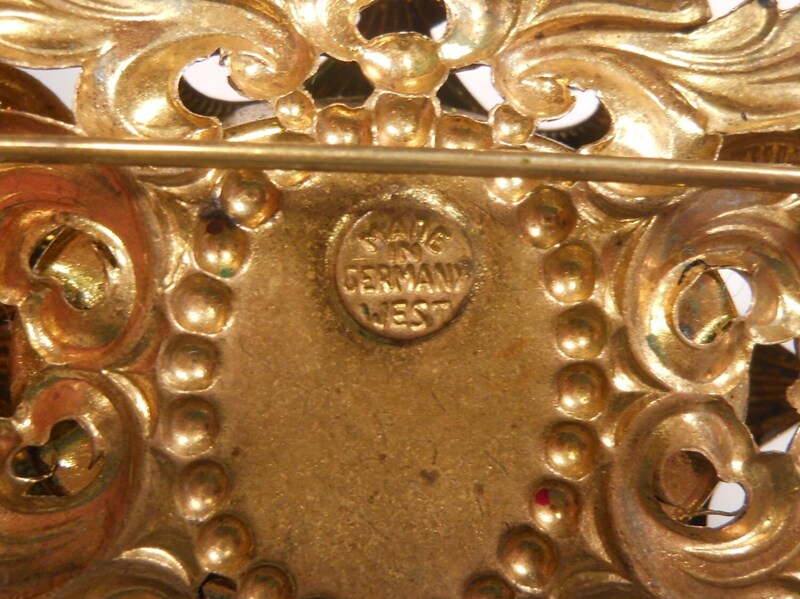 Victorian reproductions were popular in W. Germany at the time and this is one that is truly a work of art.